Josh & I have been married since Oct. 2003. JP was born 9/24/2009 and was such a fun baby. When he was one, he would sit down and watch full basketball or football games with Josh. He got a little tikes basketball hoop for Christmas and would shoot hoops for an hour every night before bedtime. He has always been a huge sports fan and knows more about players than any kid his age! When JP was 2 1/2, he wouldn't eat normal toddler foods like mac & cheese or pizza. We took him to his pediatrician for advice on how to get our toddler to eat. After running a quick finger poke, we were asked to get to Primary Children's Hospital as soon as possible where he was then diagnosed with ALL (leukemia). The world met JP when the Utah Jazz signed him to a one-day contract in October 2014. 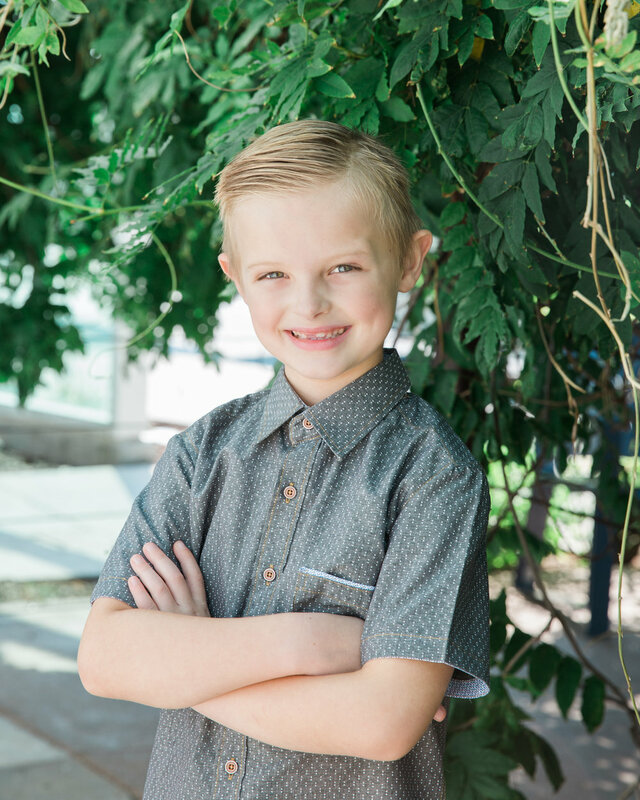 He LOVES basketball and dreams of being a Jazz player when he grows up and he instantly became a forever part of the Jazz family. We are eternally grateful for that opportunity because it has given our family a lot of great memories and the chance to think about something other than cancer once in a while. Unfortunately, the same day of the JP5k, JP's brand new 2 week old little brother would not stop bleeding from a circumcision done a couple days prior. Josh & I left the 5k early to take him to the ER at Primary's. He was critical and needed emergency blood transfusions due to the amount of blood loss. He was then admitted and we were told he had a bleeding disorder called Moderate Hemophilia A. Typically, that is a genetic disorder, but we have no family history and it was quite a shock to go from celebrating the finish of chemo for our 5 year old to learning our brand new baby had a lifelong bleeding disorder. After genetic testing was done, we learned it actually was not Hemophilia A that Theo has but a severe and rare bleeding disorder called Type 3 von Willebrand's Disease. He's one of just a few hundred in the country with it and basically he is missing two parts to the blood clotting process. We treat him with at-home infusions 3x a week and it is very manageable, though the medicine is quite expensive. Once we figured that out we thought we were finally finding our new "normal." 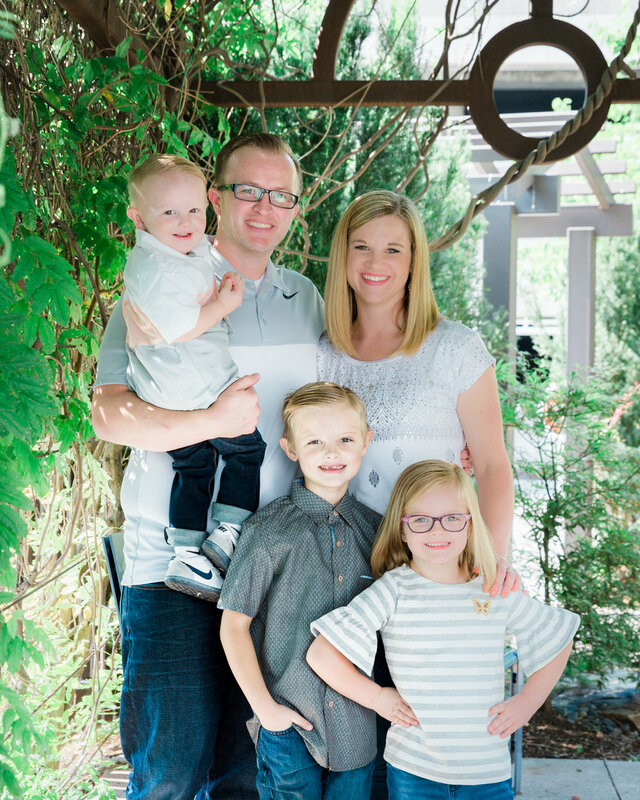 This past July we enjoyed a family vacation to Las Vegas to watch our Jazz play in the Summer League and even did some interviews about how well JP was doing. (http://www.deseretnews.com/article/865684497/Catching-up-with-Jazz-legend-fan-favorite-and-cancer-survivor-JP-Gibson.html) He was just past the 2 years off treatment mark and that's when the doctors all said "it probably wouldn't come back." We were feeling so comfortable! Then, on July 28, 2017, it came back. JP's cancer was back and it was aggressive. In a matter of about a day he went from feeling pretty normal to having stomach, chest and armpit pains. 76% of his blood was all of a sudden leukemia again along with 90% of his marrow. We were devastated. It wasn't supposed to come back. We also have a sweet little princess named Elsie. She is five and just started kindergarten. She is our "healthy" child and just needs to wear glasses and an eye patch to try and offset her Amblyopia (lazy eye). She has been a blessing to our little family and is so caring and loving towards her two brothers. When she was younger she once asked, "when do I get my cancer." We loving told her ... NEVER. We are taking things one day at a time as we adjust to our new life. JP's current battle against cancer will last about two years (assuming everything goes well). We love our kids and would do anything for them. However, this is a battle that we can't do alone. At times things seem overwhelming but the kindness and generosity of strangers truly does make a difference. Thank you for caring about our little family.